Hollywood celebrities like Ray Mears, Megan Fox, Eva La Rue, Kim Kardashian, Olympian Amanda Beard, NBA All-Star Steve Nash, and Elite Mountain Biker Greg Parham follow Paleo diet or Paleo like diet. Also, called the cave man's diet as it mimics the diet of the caveman, Paleo diet has brought about desired changes which enthuses its followers rave about the success. Obesity and diabetes is on the rise. Realizing the need to eat right is gaining momentum. Before switching over to Paleo diet, find out if it is healthy at all. Consider why it works, what it involves and the pros and cons of following a paleo diet. Is it a mere diet or more of a lifestyle? Check if a diet of the distant past is the key to shedding excess pounds, safeguard against a plethora of modern age lifestyle related illnesses and ultimately a healthier life. It is actually Paleolithic diet. The foods that form part of the diet are similar to foods of cavemen of the Paleolithic period, more than 2,000,000 years ago, when farming wasn't even discovered. As a hunter and gatherer and the absence of grains made humans sustain on fruits, berries, nuts, seeds, meat, fish and vegetables. The caveman had no access to processed foods, sugar, salt, grains, legumes, dairy products, coffee and alcohol. A Paleo diet strictly prohibits eating any of these, a strict 'no' to refine and processed foods. Eat foods that can be picked or hunted in nature. Avoid foods that cannot be eaten raw. Prefer meat products, animals fed by natural food. Planning a meal with foods that form part of paleo diet is simple. It is primarily a low-carb, high-protein diet. The foods should be organic, BST free and milk is included provided it is from pastured cows. Grass fed pasture raised meats (lean meat, lean pork, lean poultry, venison, rabbit meat, liver meat, game meat and low sodium jerky). All varieties of fish, clams, crabs, lobster, oyster, shrimps. Any fruit except dried fruits. All vegetables except root vegetables. Nuts and seeds (almonds, pine nuts, brazil nuts, walnuts, sunflower seeds, flax seeds, cashews, pistachios, chest nuts, sesame seeds, macadamia seeds, pumpkin seeds. Here is list of foods which do not form part of a paleo menu. 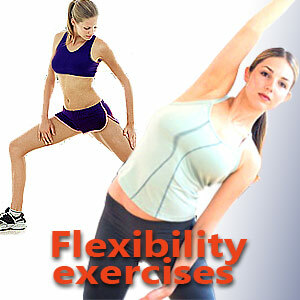 Practically, the diet allows for making changes to suit individual specific needs. Calorie intake and nutrients may be higher or lower depending on food choices. Sometimes by making some adaptations anyone can come up with really delicious and precise meals. Here are points to remember while planning a paleo meal. Include animal protein whether it is egg, chicken, beef, pork etc. Focus on low glycemic fruits and vegetables as it allows for maximizing the nutrition in the plant and also maintaining optimum insulin balance and satiation. Those who are aiming to reduce weight need to limit intake of nuts and seeds. Unsweetened almond milk and coconut milk can be used as substitutes for dairy milk. Include oils which are paleo compliant and animal proteins. Olive oil, nut oil is allowed. Fish oil is also recommended. Samples for Paleo breakfast, lunch, snacks and dinner menus. An omelet with three eggs combined with mushroom and green pepper or a berry pancake soufflé. Roasted pepper and sausage omelet. Sliced lean ham, mixed berries and coffee. Chicken salad, sausage and spinach hash. Chicken cutlets and with olives and tomatoes. Low sodium beef jerky with an apple and few almonds. Grilled chicken, a serving of veggies and two kiwis. A handful of walnuts, an orange and grilled fish. Lean steak, 2 cups of steamed broccoli and few almonds. Chicken cutlets with olives and tomatoes. Garlic herb crusted pork tenderloin, roasted asparagus. Chicken pot pie with a salad. Following Paleo diet may amount to eating a large amount of meat, fruits and vegetables. Health experts opine the diet approximately results in 35% protein (leaner protein), 25% carbs (from fruits and vegetables (fibrous) and around 40% fats (more mono- and polyunsaturated fats, less saturated fats). Protein and fat intake account for a higher percentage of calories and carbohydrates account for lower percentage. This is a large discrepancy with the current FDA Food Pyramid. An attempt to make up for the deficit of calories may have negative effect on the body. 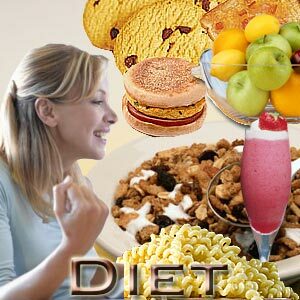 The diet is highly popular as it is construed to aid in weight loss. 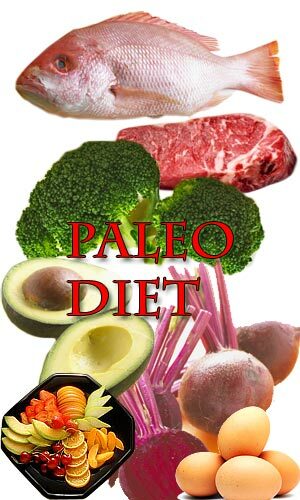 Studies show that Paleo diet may help improve heart health and improve blood sugar (glucose) control. Everybody's body is different. Your individual calorie needs depends on various factors like age, gender, body weight, height, activities, health status etc. Consult nutritionist or health care provider, consider specific caloric requirements, weigh the pros and cons of paleo diet and then embark on a new diet regimen. Aids weight loss: Protein, carbohydrates and fat are the three macro nutrients that form part of a balanced diet. Overload of carbohydrate opens to weight gain. Carbs in paleo are less. Paleo also cuts down on grains, legumes and sugars. The diet is completely focused on unprocessed foods. All natural foods aid weight loss. The inclusion of lean meat, seafood, roots, tubers, fruits and vegetables (high-nutrient density food) makes a meal quite filling. Higher intake of protein reduces appetite and increases metabolism. Body tends to burn calories at a higher rate. Boosting metabolism is recommended for weight loss. High energy levels: Carbs in Paleo diet is from organic fruits and vegetables. Unlike refined carbs, natural carbs result in improved energy levels and mental alertness. Acclimatize to eating healthy: With Paleo diet, body gets tuned to eating organic foods and therefore it avoids processed foods which are high in calories and low in nutrients. The right vegetables and fruit selection make up for lost calcium and carbohydrates. Diet that doesn't cause disease: Paleo diet is regarded as a dietary pattern that 'doesn't cause disease'. The combination of modern diet and a lifestyle devoid of regular exercise or care for the body makes the body susceptible to cancer, coronary heart disease, diabetes and many other modern-day diseases. Paleo diet is devoid of foods that are known to increase risk of many of these health conditions. Also, fewer carbs in the Paleo diet means fewer health problems. Being a low-carb diet, paleo diet helps ward off Type II diabetes. Avoiding processed foods means overall sugar and fructose intake is low. A check on intake of processed carbs and sugar is actually good because both can actually destroy the ability to regulate how much is consumed as the appetite regulating cells get destroyed by too much sugar in the blood. Good for body: Lean proteins support strong muscles, healthy bones and optimal immune function. Fiber rich fruits and vegetables reduce the chance of constipation, lower cholesterol and also reduce risk of developing coronary heart disease and diabetes. Absence of preservatives or harmful ingredients in paleo diet is good for the skin as well as hair. Though doable, giving up foods you are used to can be highly challenging. Old habits die hard. The diet demands intense discipline. List of carbs allowed in paleo diet is limited. It can be hard to resist the temptation of tasty carbs. It can be challenging to stay inspired and sustain on the paleo diet, especially in the long run. As unprocessed foods aren't included, dining out will be practically impossible. Choosing meat or poultry foods of grass-fed animals can be a cumbersome procedure. The typical grocery store may not sell these. Limited availability is another practical difficulty. Some may experience side-effects like headache, fatigue, lack of concentration etc. during the transitory period. The body should be capable of adapting. The diet has its limitations and is not suitable for vegetarians. The diet is not medially proven. Eating raw food can cause bacterial infections. Decreasing carb intake can rapidly lower blood sugar levels, blood pressure and other health parameters. These situations demand immediate medical attention. Concerns of calcium deficiency in paleo diet are evident. 1000 mg of calcium per day is recommended for the prevention of osteoporosis. The absence of dairy may lead to lack of Vitamin D and calcium which could lead to weaker bones. Calcium deficiency can cause serious health complications, such as osteoporosis, hypertension, colon cancer and pregnancy complications. Though calcium in non-dairy sources such as spinach is part of the diet, the sources are not well-absorbed as in dairy products. Restricting to select foods can result in deficiency of vital nutrients and fiber content required for overall well-being. Grains not being part of paleo means denying even those prepared in the traditional manner that helps the body to function well. For example, sprouted grains can only augment body functioning. Nutritional needs vary and the diet may not give same results for all. First Published Date: 7 Jan 2013 Last modified Date: April 18 2019 This page may have been updated recently as new information is available or the content may have been edited for better readability.